Every year, we see a particular trend pertaining to Christmas decoration and this year is no different. From traditional red and green and gold to something colorful or minimal, the Christmas decor trends change as the year passes. Depending on what’s on trend, you may want to decorate your home and give your old ornaments and decorations a new twist. 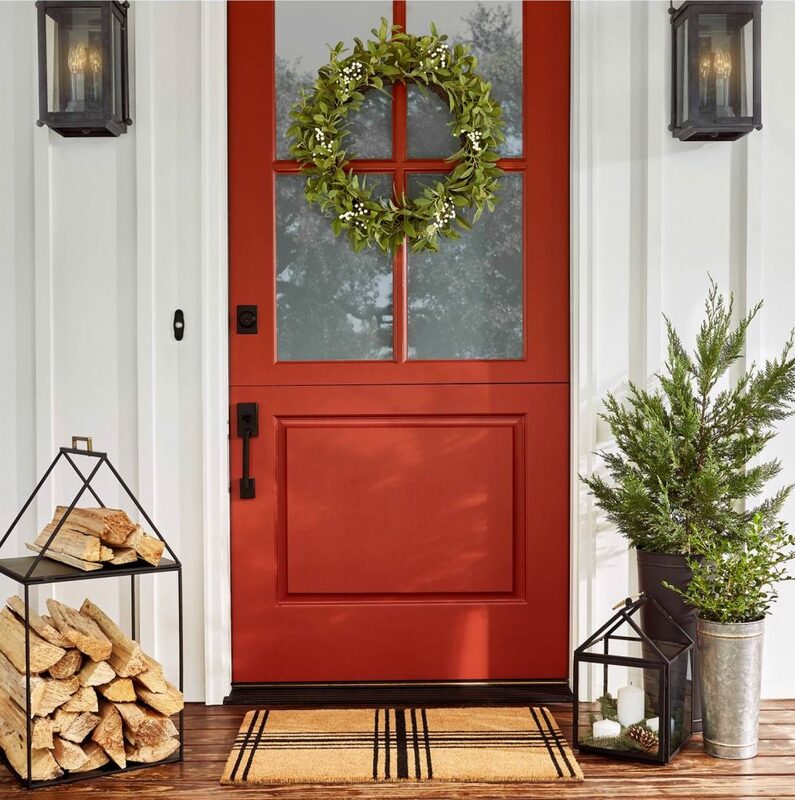 So transform the aesthetics of your home by taking inspiration from the Christmas décor trends of 2019. The temperature has dropped, mittens and gloves are out and the excitement and joy of the season is already in the air. Yes, it’s time for Christmas! Christmas is one of those holidays when people unleash their creativity and express themselves by making all kinds of wonderful and unique decorations. While trimming and decorating the tree and hanging up stockings count as decoration staple, there are scores of other decoration ideas, which you can use to beautify your house. So here we are! We collected some of the best and trendy Christmas decorations that you might get inspiration from as you decorate your home for Christmas. 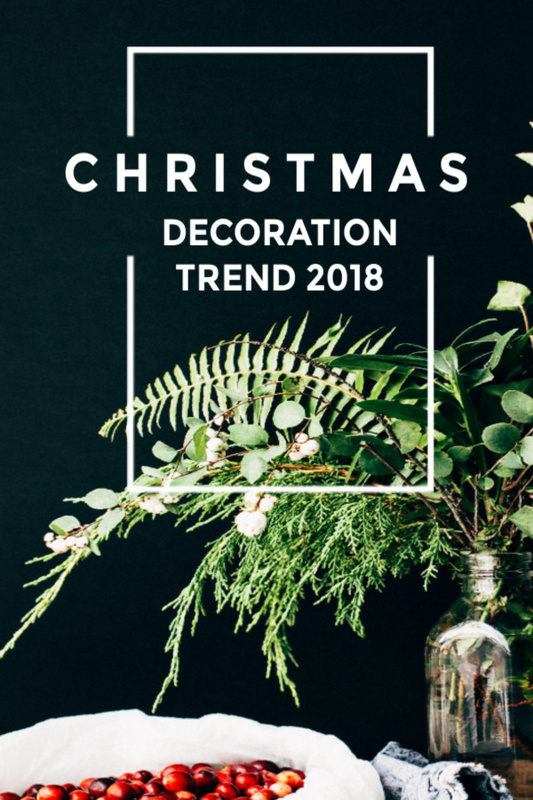 Here are the top Christmas decoration trends 2019. 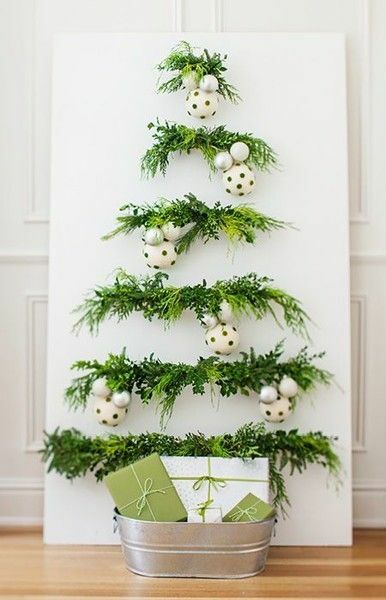 Here’s a simple, yet stunning way to make use of your ornaments this Christmas. 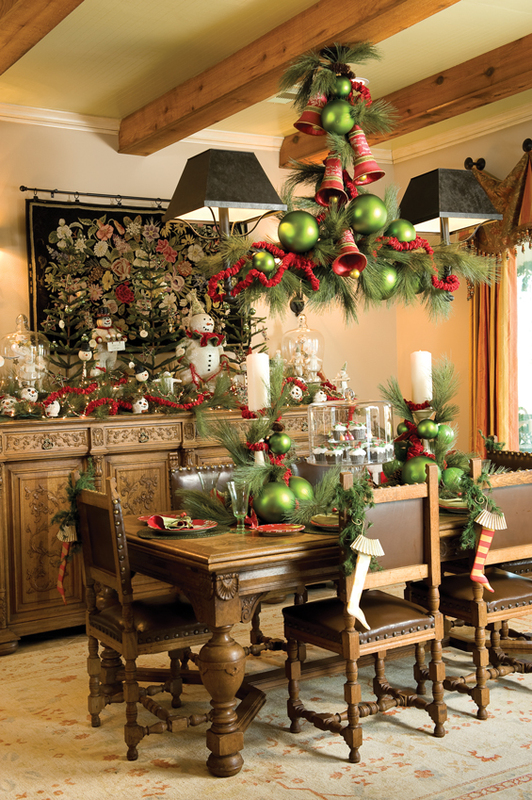 Hang a branch from the ceiling, or above the dining table and decorate it with ornaments in modern shades. Bottle green, white and black would be your best bet this season. Move over red, green and white color scheme. What’s gonna be a major hit this year is pastel color scheme. The potted Christmas tree here is decorated in fun, but not so festive colors like pink, fuchsia, blue, green and white. The gold stars are adding glamor to the décor. 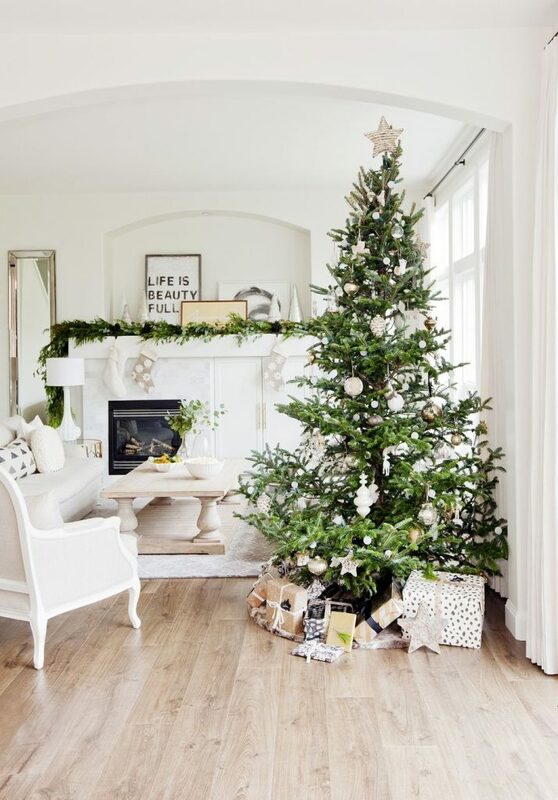 If you truly want a modern and chic Christmas decoration, we’d suggest you go for a slim or sparse Christmas tree decoration with neutral colored ornaments. And by neutral we mean ornaments that match the décor of your house. Use subtle-colored ornaments like white, gray and beige. 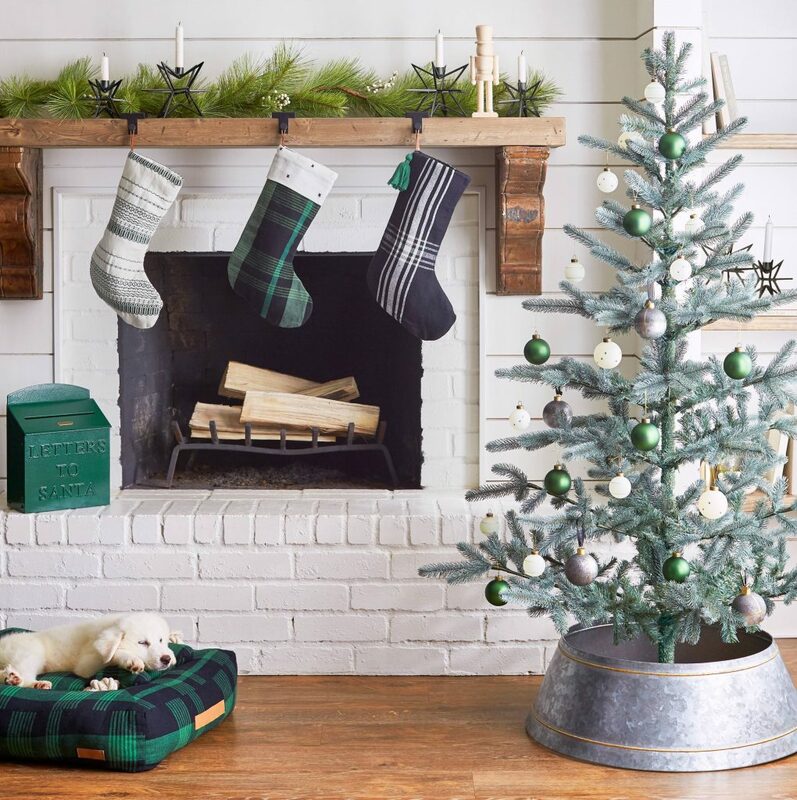 Add a warm, soft and rustic accent to your Christmas decoration with this plaid stocking. The green and black color combination is giving it a countryside touch, with the black X and white cuff are adding a modern touch to it. It’s sure to bring holiday cheer to your house, whether you hang it from the mantel or from the door knob. If you’re wondering how to cover the unsightly bottom of your Christmas tree, we can give you an excellent idea. 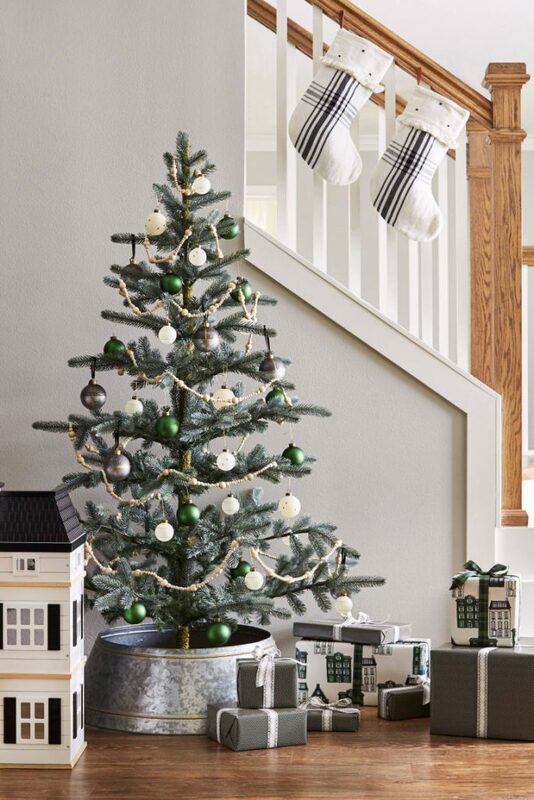 Instead of covering the base with a tree skirt, hide it with a metal ring or tree collar. The one featured in the picture has a subtle gold trim, which is giving it an extra glamorous look. 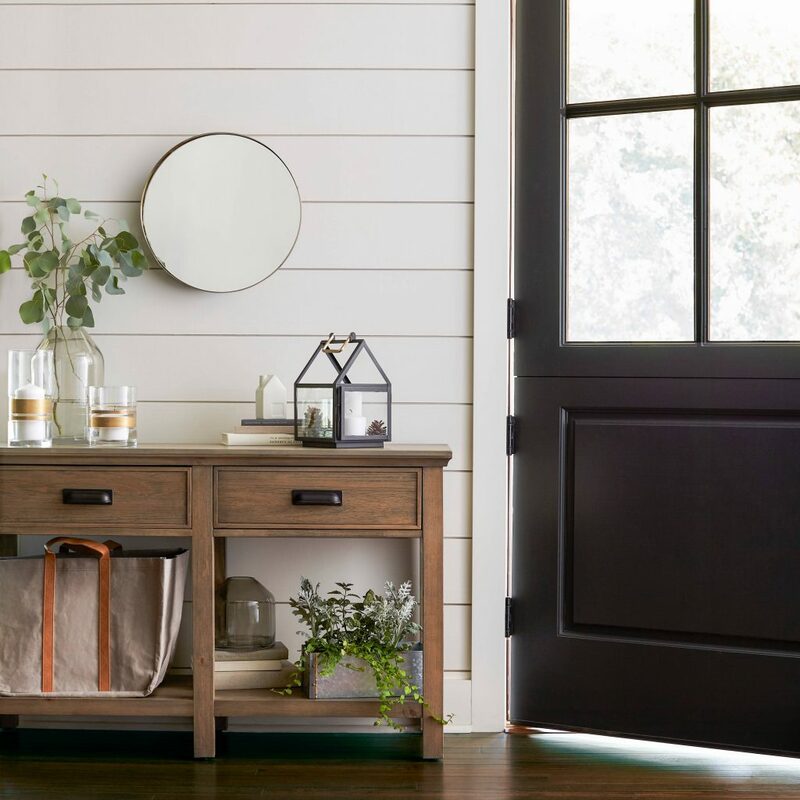 This small, but thoroughly modern farmhouse-shaped lantern will fit pillar candles of any color of your choice. It will look excellent placed on top of a farmhouse style side table or the entrance, as seen in the picture. It will make your house warm and inviting. Instead of throwing in your firewood in a box or dustbin, place them in this stylish, home shaped log holder. It will keep your fireplace neat, cozy and organized. Alternatively, you can even use it as your outdoor decoration. It will look great. This is indeed one of our favorite Christmas décor trends of 2017. 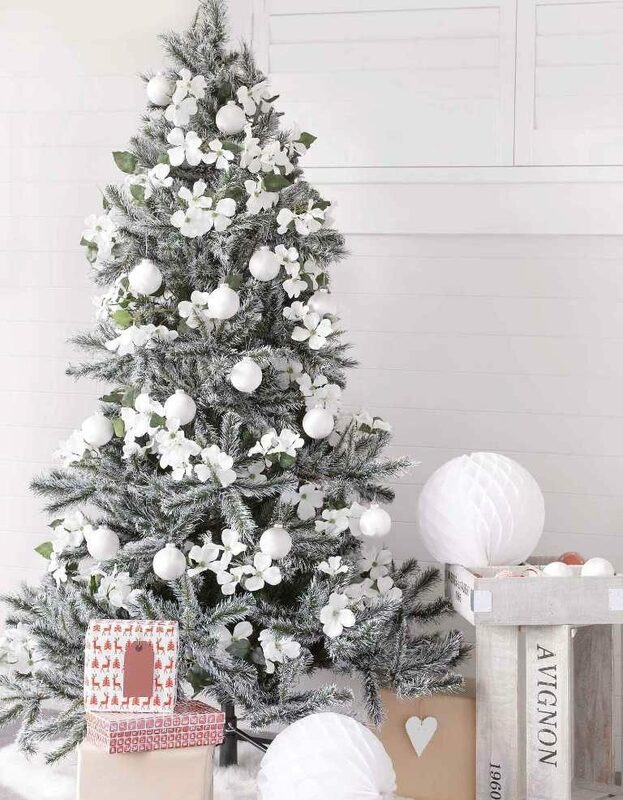 We totally love the idea of decorating a flocked Christmas tree with white frangipani flowers. You can add a couple of white ornaments too. It will give a magical look to the tree. Bring the beauty of outdoors home with these wooden plate chargers. In fact, the entire setting can be emulated for an outdoor table decoration. The natural shades will complement the glow of fresh snow tremendously well. 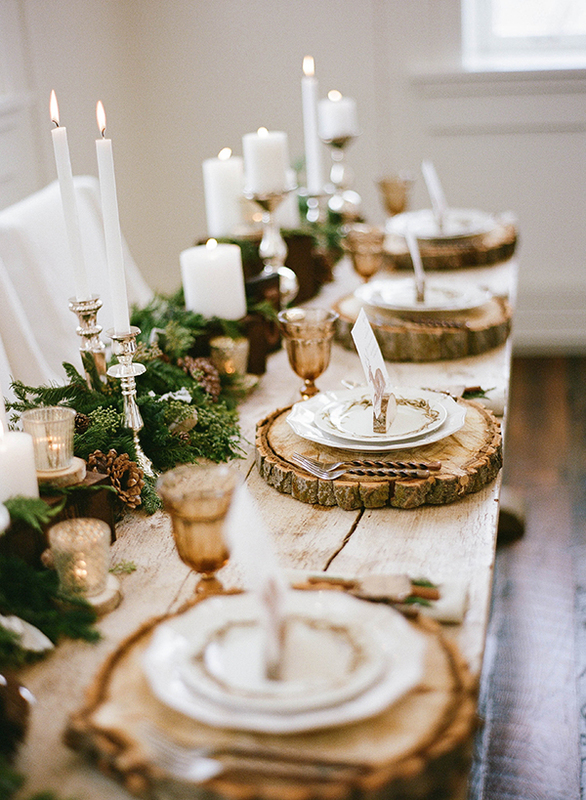 This kind of Christmas tablescape will surely catch your guest’s eyes as they dine on Christmas eve. If you’ve not been living under a rock, you must be aware of the chunky knit blankets, which took the social media by storm this tree. 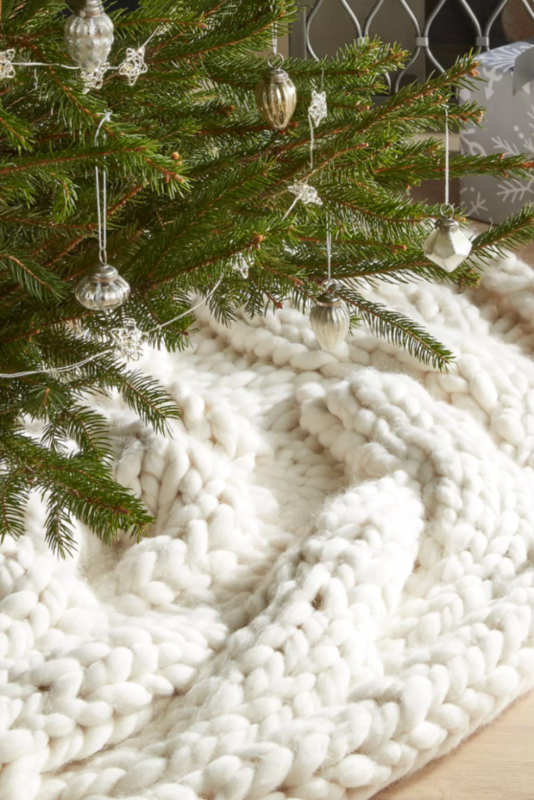 Taking inspiration from it, snug knit blanket tree skirt has come into the forefront and we’re totally loving it. Just pick the colors, which suit your room’s color scheme. If you truly love Christmas, you wouldn’t shy away from opting for an exaggerated and unique looking Christmas tree, which would reflect your love for this festival. 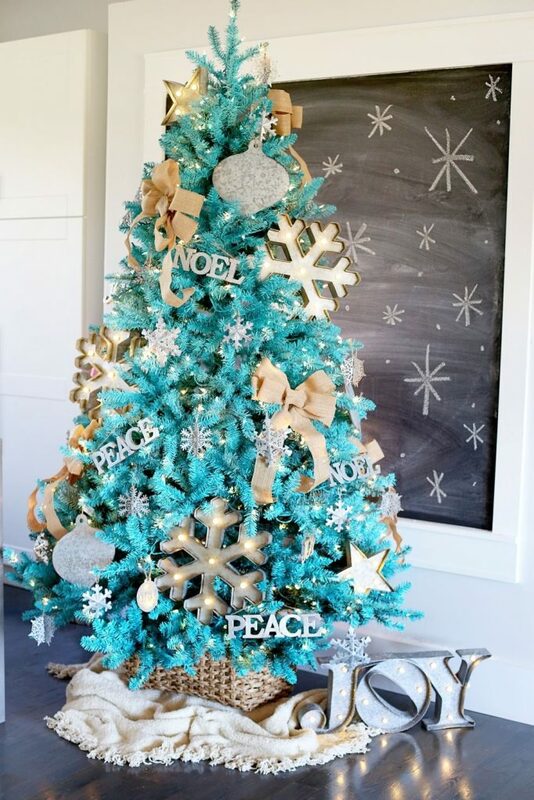 The trend featured here breaks the norm, but in a friendly way by going for a turquoise blue Christmas tree decked with giant snowflakes. Not to mention the signage of Peace and Noel that gives another element to the already grandiose Christmas tree. If you have white interiors, dark, rich accents will complement your décor truly well. In this picture, we see a white house decorated with gingerbread house and a branch chandelier beautified with cinnamon cookie ornaments. 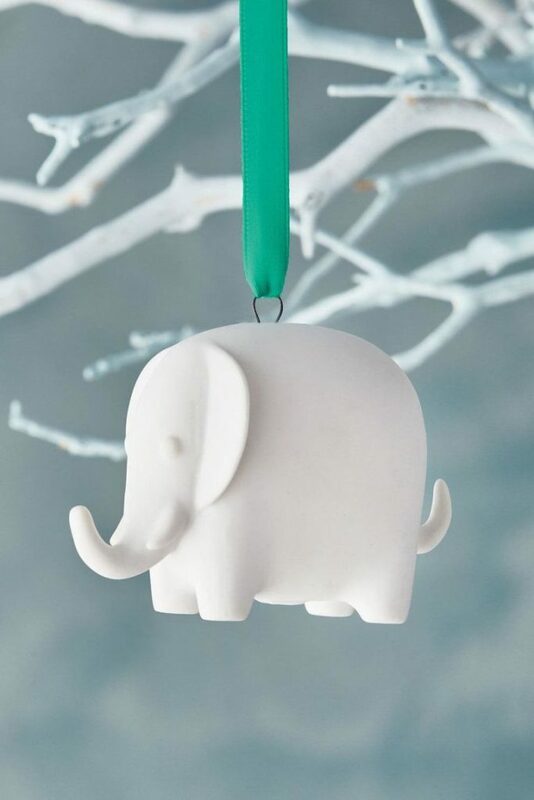 These ornaments will go along well with your indoor plants too. 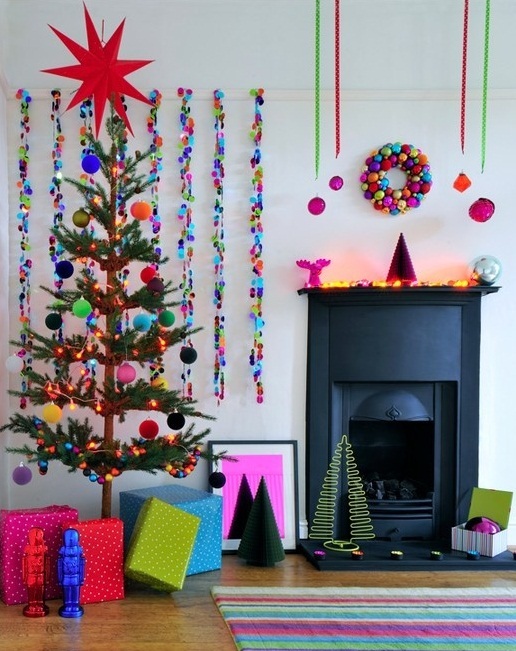 Another trend that’s taking the world by storm is colorful modern Christmas decoration, as seen in the picture. A rainbow decoration will look great when you have a stark black mantelpiece. It will make the colors pop. While some of you might find this kind of decoration as messy and bold ones, but trend change honey! It’s time to be bold and daring on almost everything. This Christmas decoration idea is dreamy, elegant, classy and will work in just about any home. We won’t call it a white Christmas decoration, yet it captures magic and wonder of winter beautifully. The gold and yellow green against white is truly magical. This really feels like holiday. You will feel the cozy and comfy ambiance even in the picture. This is where less is truly something more! Have you seriously seen any Christmas tree as cute as this one? It’s like taking the white elephant exchange literally and it’s a wonderful idea in our opinion. 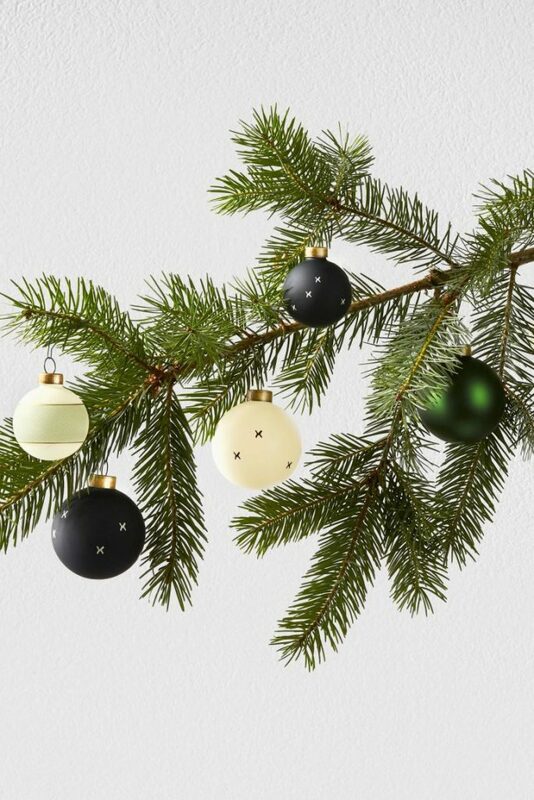 The matte finish, especially is making this ornament look trendy and gorgeous. If you want your Christmas decoration to have the approval of your parents, while being classy and trendy at the same time, look no further than this gold Christmas decoration idea. 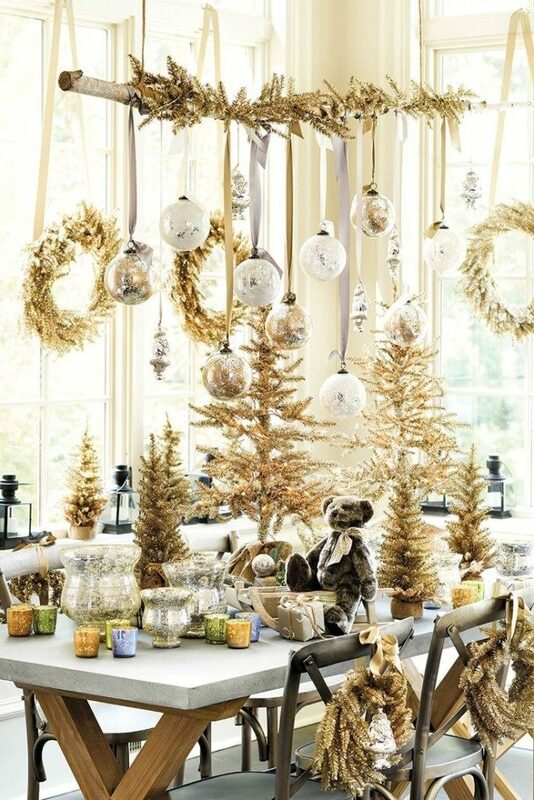 Go for gold ornaments and wreaths. To add more colors, you may also add some white and silver as accent. Capture the magic of mountain in your own house by emulating the idea featured in the picture above. It’s so gorgeous that it’s making it look like a cabin in the Alps. Furthermore, this decoration involves oversized ornaments, which are major hit this season. A sleek and simple modern decoration just refuses to budge from the trending list and understandably so. And we totally love the color palette of silver and lilac used here. The tree, especially is unique and out of the box. 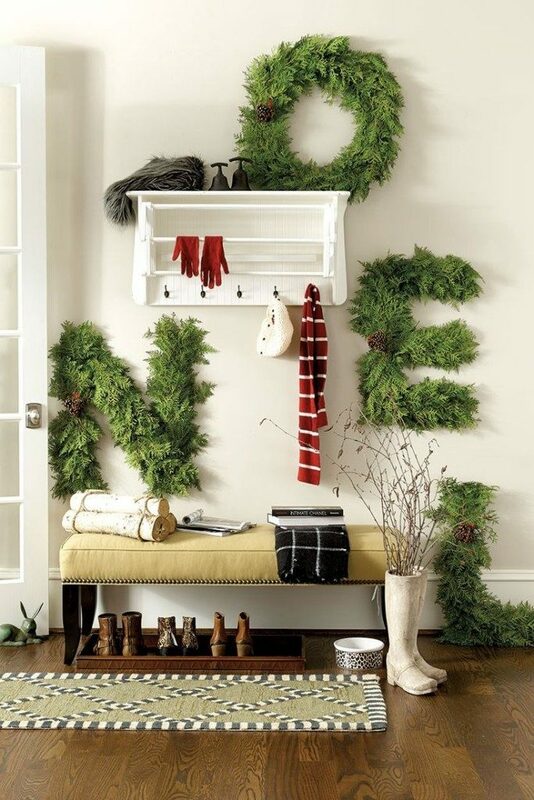 Doll up your Christmas entryway with this NOEL lettering made with greens. The spirited doormat is also giving a wonderful look to this entrance. Don’t forget the white boots that served as the vase for those rustic twigs, adding more country feel to the whole set-up. 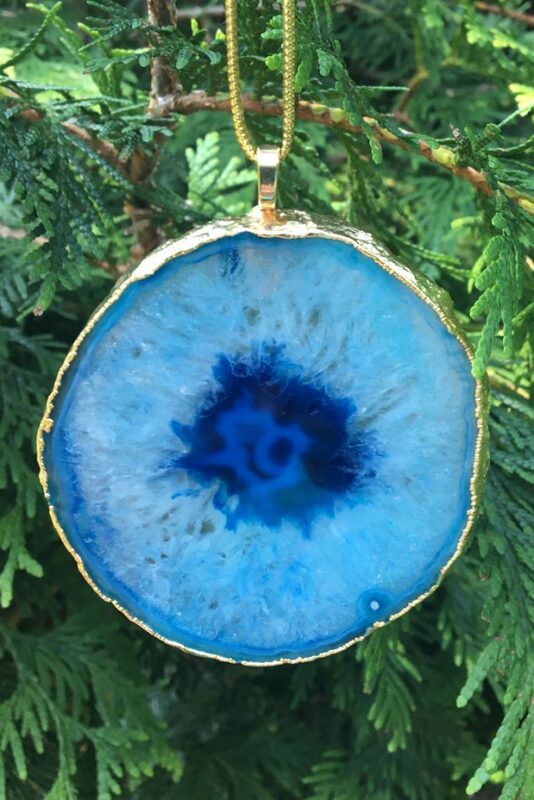 No amount of metallic ornaments can beat the shine of a hanging geode on a Christmas tree. For some extra twinkle, pair the agate or geode ornament with string lights. It will make this gold trimmed ornament look even more gorgeous and shining. 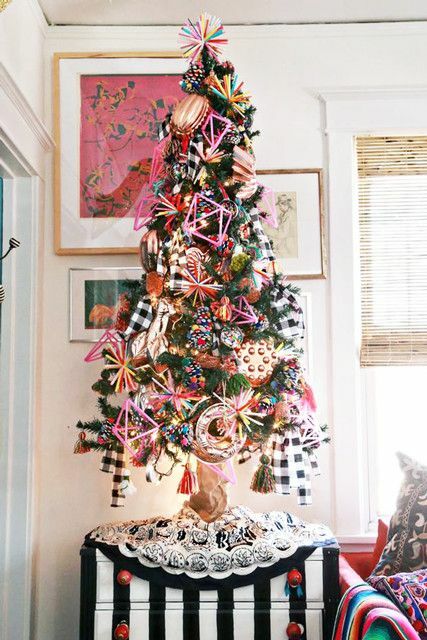 We just can’t take our eyes off this ultra gorgeous alternative Christmas tree. 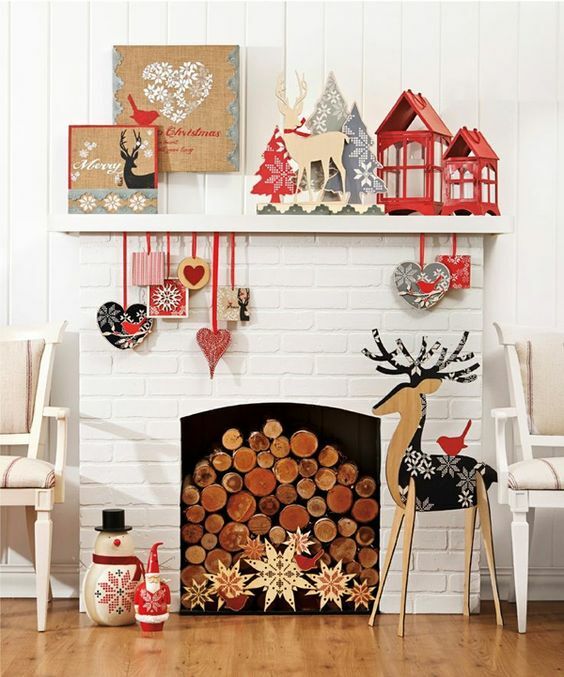 This décor is chic, simple with minimal patterns and large focal pieces like snowman figurines and reindeer. Did you notice the log pieces? Snowflake theme is classic and is never gonna go out of style and we assure you that. You can incorporate snowflakes in a wide variety of ways, but we loved the idea of hanging snowflakes from behind the bed. 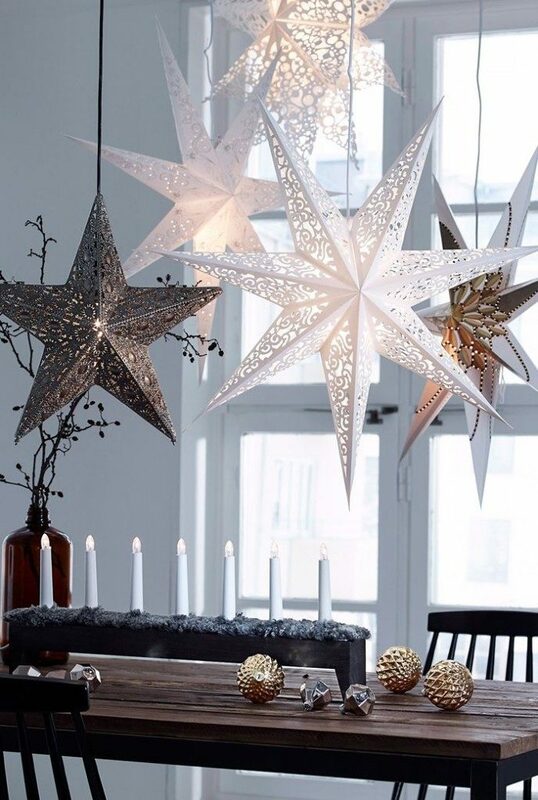 You can create a wonderful decoration by just hanging oversized, metallic stars from the ceiling. You can even consider hanging star lamps. 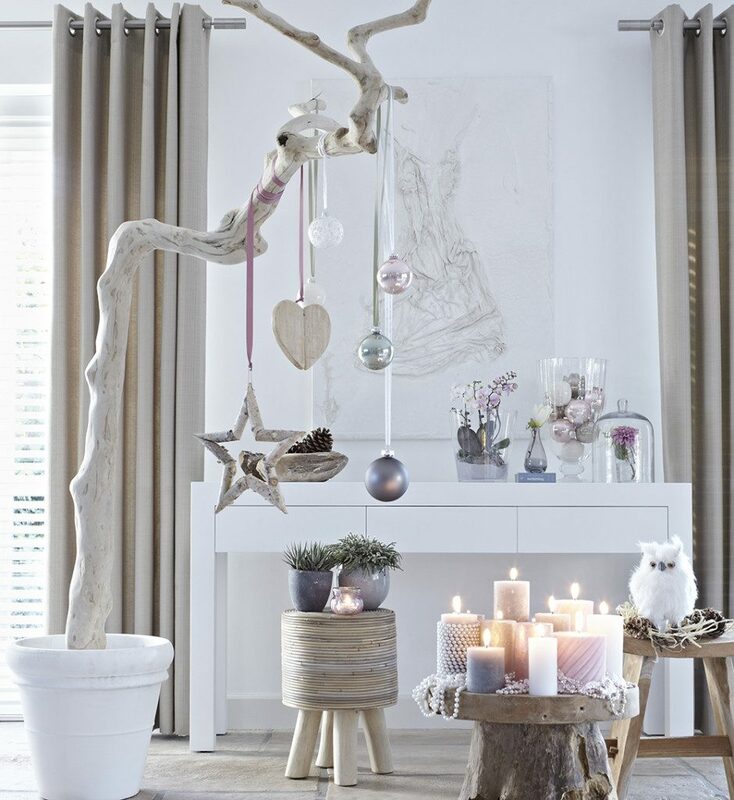 This can be a good option specially if you opt for Scandinavian or modern style of Christmas decoration. 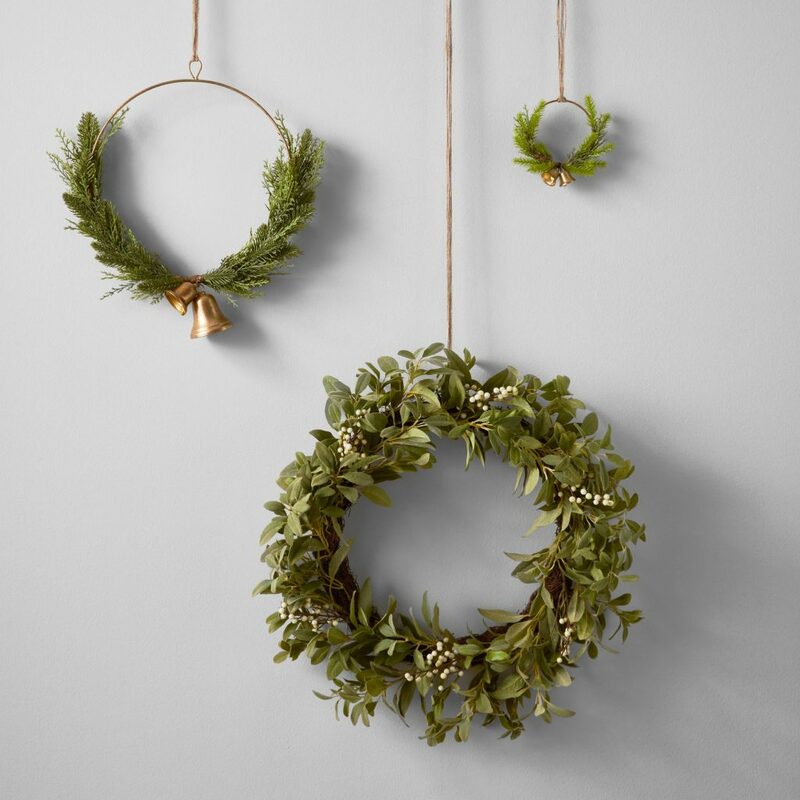 Give your wreath a homey and traditional feel by hanging golden hoops and bells from it. It looks so modern that you can use them all year round. At least you wouldn’t have to worry about the leaves shedding since they’re artificial. 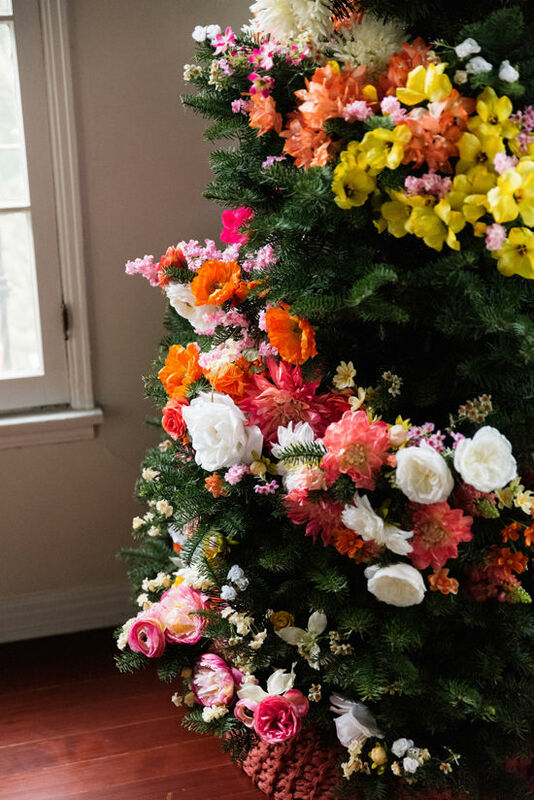 This floral Christmas tree garland is giving an unexpected, but fresh twist to the otherwise traditional Christmas decoration. If you stay in a cold or frigid reason, we’d strongly suggest you to go with it as it will add some color to the dull and dreary season. This year, we’re expecting blue to make a mark as the color of the holiday season. Almost every magazine has featured trees, ornaments and even flower arrangements in blue color. In this image, we see blue used for the wall, ornaments and upholstery. After pineapple jack-o-lanterns, its pineapple Christmas trees that’s taking social media by storm. It’s a wonderful way to add a tropical touch to your decoration. All you need to do is hang some metallic or complementary colored ornaments from the leaves. 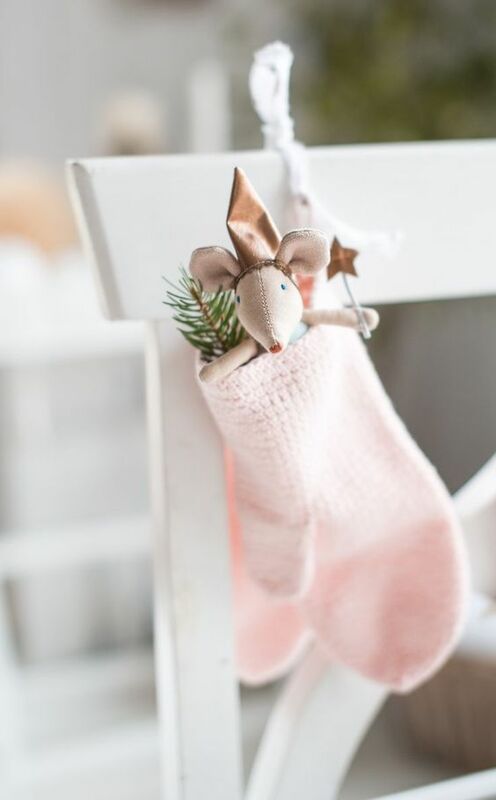 Instead of stockings, you can hang mitten from your chair, stuffed with little toys or goodies for your little ones. The one featured in the picture is excessively cute. These nesting houses with cute window cutouts will add a natural, rustic finish to your Christmas decoration. 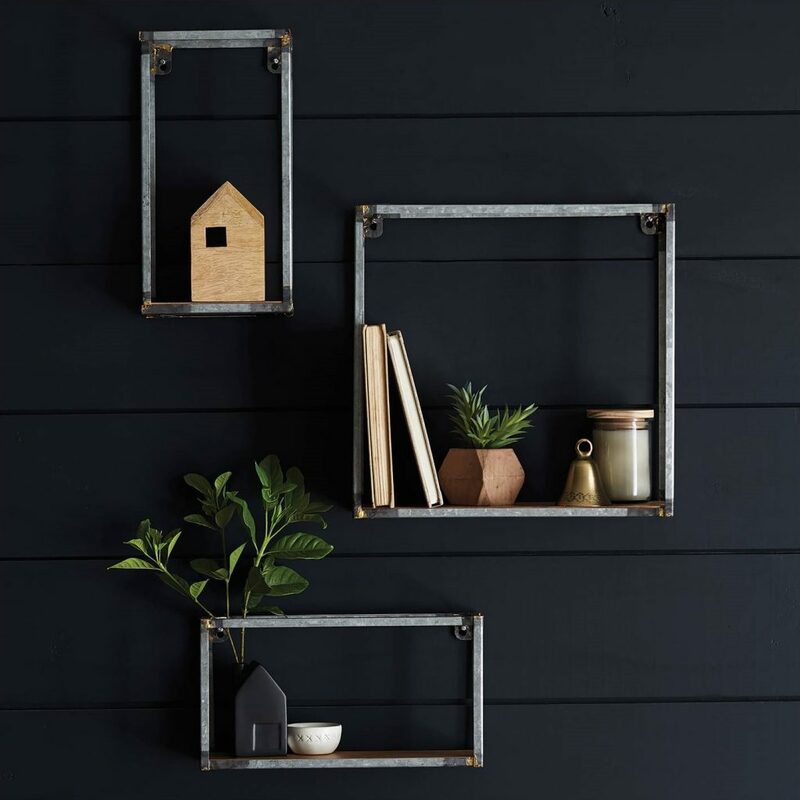 Since the houses are made of wood, they’ll even add a hint of outdoors to your décor. And these houses are incredibly versatile too, as you can use them to beautify any nook or corner you like. 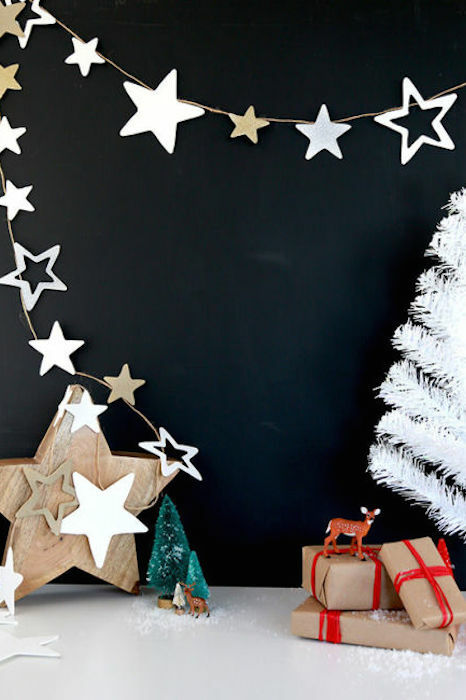 A few large foam boards will give you this ultra cool and modern star garland with some serious staying power. If you want to make the shine or rather twinkle like real stars, spray some gold or silver paint on it. And hang it against a dark background for maximum effect. Plaids will never get old for Christmas decoration. The only thing that you need to keep in mind while decorating with plaid decorations is to keep it unique and interesting. 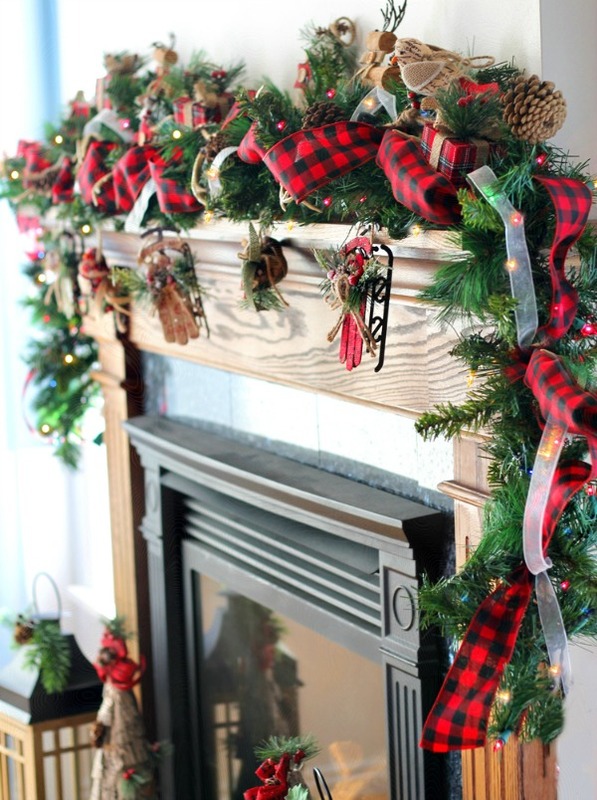 Instead of using plaid clothes on tables, you can also use plaid ribbons it to make garlands for mantel. Give it more beauty by combining it with rustic elements like vintage-y sled ornament and berries. This is a perfect Christmas decoration for your house this year. 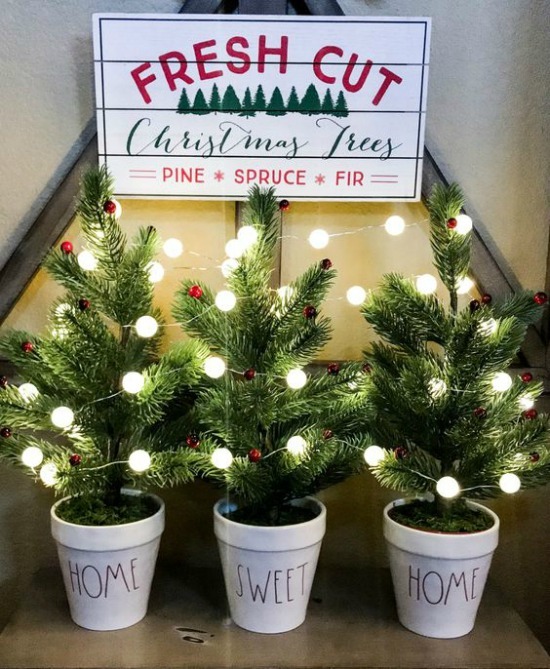 A welcoming message for each pot, with beautiful green, mini Christmas tree, decorated with fairy lights would surely give a holiday feel. Complete the set up with pallet design. This Christmas decoration is perfect for vignette or for bedroom. While red may be cliche’ when it comes to Christmas decoration, its versatility cannot be underestimated. Red can actually adjust and complement with almost all other colors and turn our trendy. In short, red can be included in our trendy Christmas decorations this year. All we need to do is to tweak it and add other elements like rustic and country ornaments. While minimalist approach of Christmas decorating has been trend for the past year, you can do the opposite for this year. Don’t be afraid to go overboard on decorating. Put whatever you want on your Christmas tree, hence the word “maximal”. Mix and match is the key on this approach. Put all your desired ornaments together and arrange them in a way that they will complement with each other. 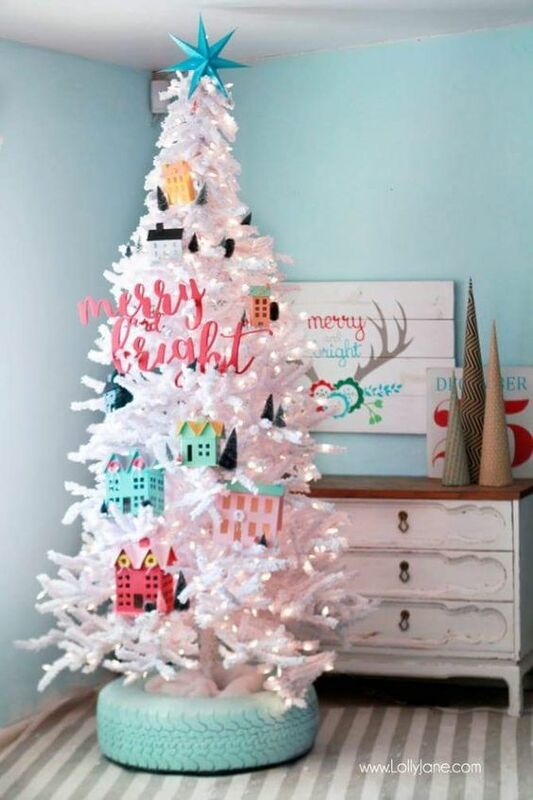 White Christmas tree has been around for years and there are already so many variations of it that you can find in the internet. But these Christmas trees can upgrade even more! How? By adding new and trendy elements. Instead of the traditional Christmas tree skirt, one can go for old car tires and pain it beautifully. Adding other elements like houses and signs can be a good idea too. We have seen so many inspirations and ideas for alternative Christmas trees. We’ve seen stacked bottles, books, driftwoods, etc. But this year, how about we maintain the traditional feel, minus some elements here and there? The center stand perhaps? Instead of going for a whole Christmas tree, we will just use the greens. Attach them on the wall or card board and decorate it as usual. Such a minimalist and trendy approach, isn’t it? 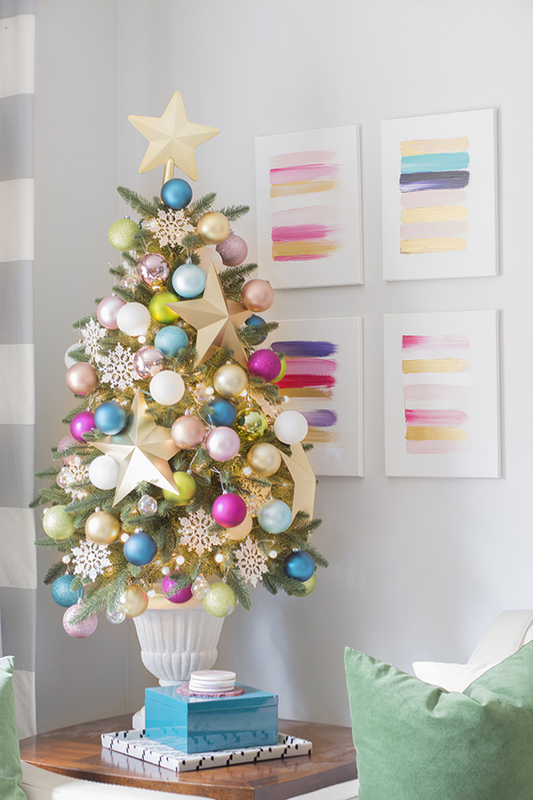 Another trend this year for Christmas decorating is DIYs. As year pass, we might just get tired of using the same store-bought christmas ornaments and decorations – christmas balls, berries, artificial poinsettia, etc. 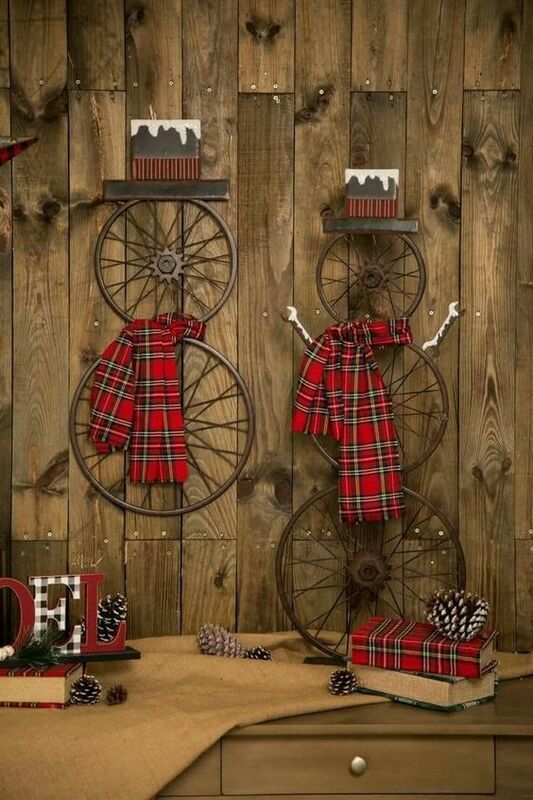 This year, how about turning those old bicycle rims into something fabulous – like snowman? All you need to do is put 2 or 3 rims together, tie a scarf on the middle and put old wrenches instead of twigs as hands. Complete the look by putting wooden hats on them. If you’re one of those people who doesn’t want to complicate Christmas decorating, this inspiration is for you. Tabletop Christmas trees are trending nowadays. 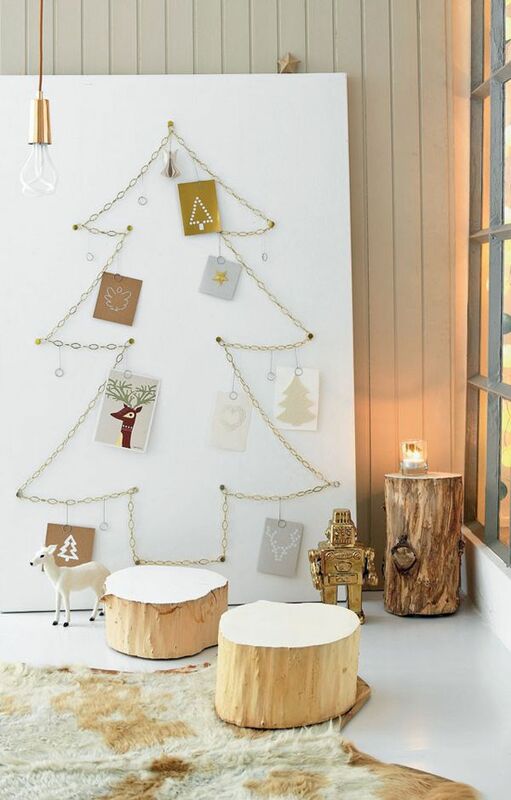 In this one, you just need a wooden tree and hang those Christmas balls. 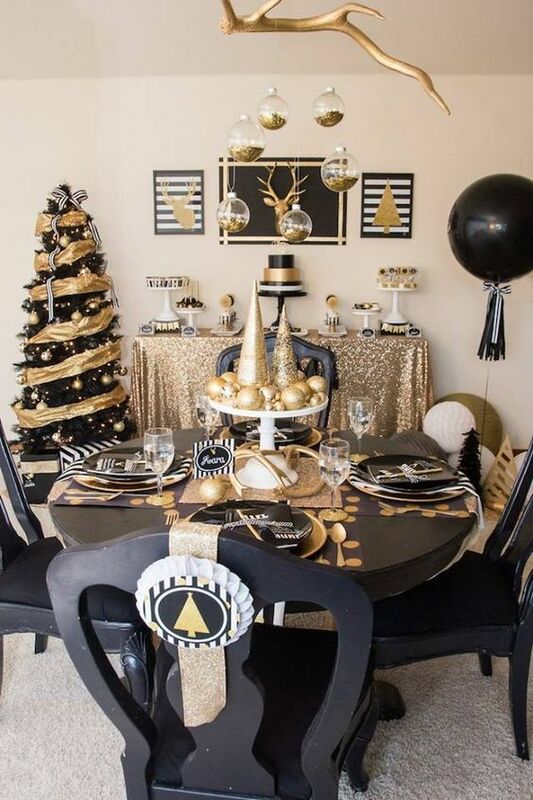 It’s up to you what kind of theme you want, but this one used gold, silver and white theme. Gone are those days that ornament are limited to glittery and shimmering Christmas balls. Nowadays, you can pretty much use anything and hang em up on your Christmas tree. This one for example. 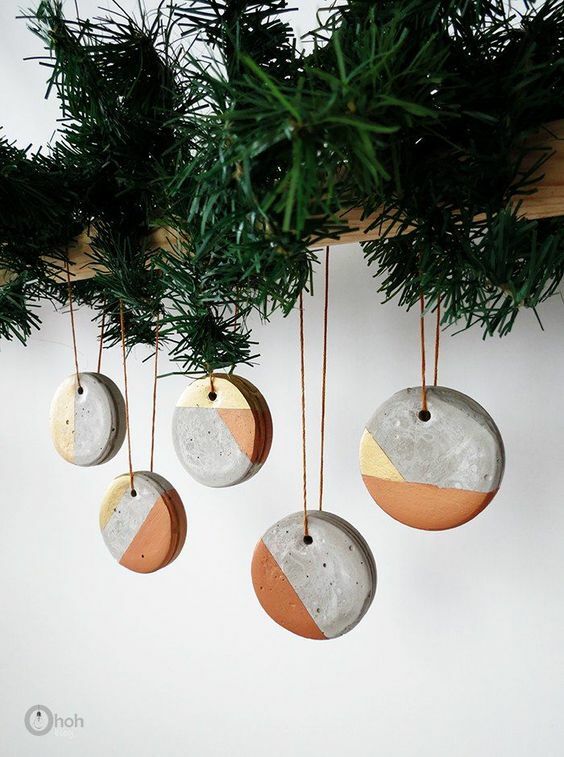 A concrete circle ornament painted with gold and brown and hung using a yarn. This is a perfect decoration if you opt for rustic or country style Christmas. 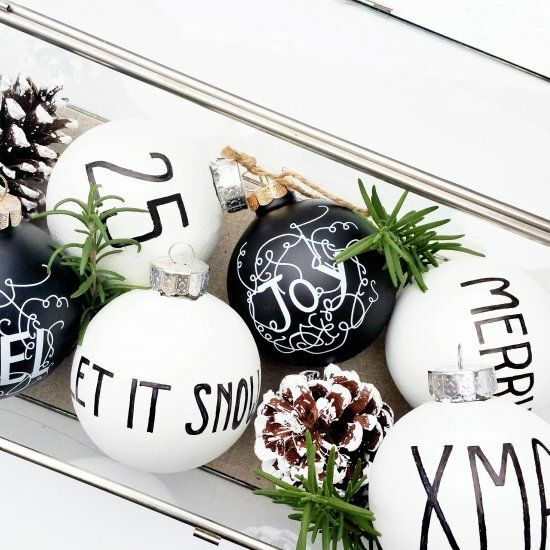 Let it snow and be merry with these black and white Christmas ornaments. The contrasting colors of white and black surely give these balls a luxurious and unique look. Keep it minimal and simple. 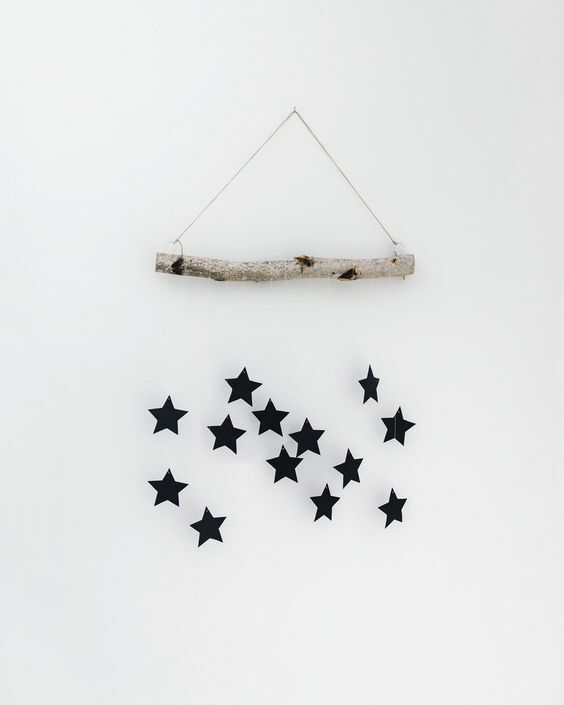 A few black star cut-outs attached on a wood and hung using a string is enough to give a Christmassy feel to your bare white wall. This is a good option if you don’t want colorful decorations. Like I said earlier, the key is mix and match. If you know what will complement to which, you’ll be safe on your decorating adventure. We all know that gold, white and black can go hand in hand. 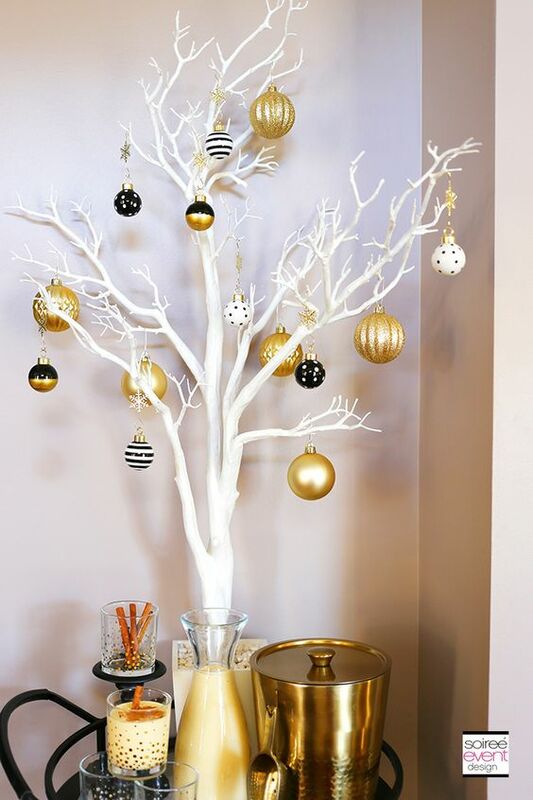 So, a white Christmas tree can be decorated with black and gold Christmas balls, giving it a grand and classy look. Oh, Christmas is all about holiday and holiday means relaxing, sipping that hot choco while looking at sparkling Christmas tree. Nothing beats home when it comes to holiday. And to be able to actually feel the “holiday”, our haven must have this comfy, relaxing feel. With that, choose for decorations that can create a comfy atmosphere. Go for green, beige, white and some black colors. This Christmas decoration trend is simple but fabulous. The sign is awesomely displays on a white background, making it really cozy. With the addition of greens and vintage element, you can create an eye-catching vignette. If you want a classic and luxurious look this Christmas, you can go for combination of black and gold. See how marvelous it is. 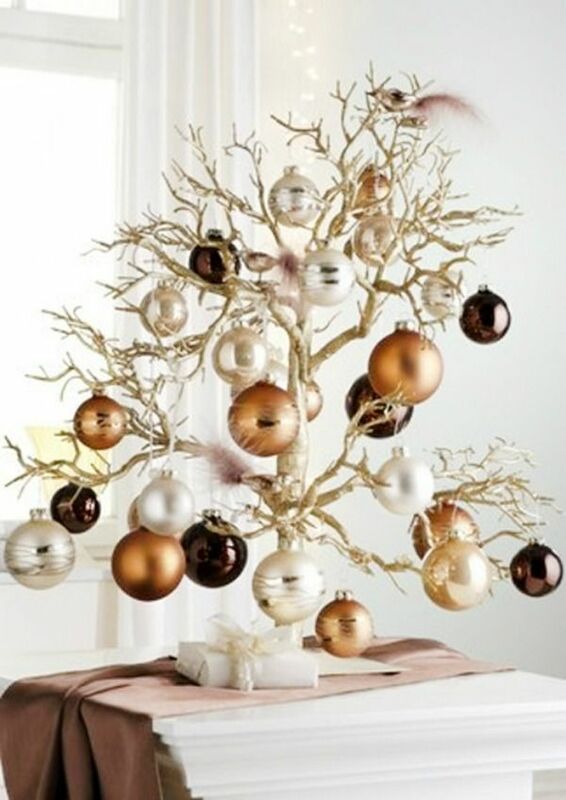 From a golden Christmas balls to golden ribbons against black elements, this one is truly magnificent! Your guests won’t be able to blink as they stare on these fabulous Christmas set up. 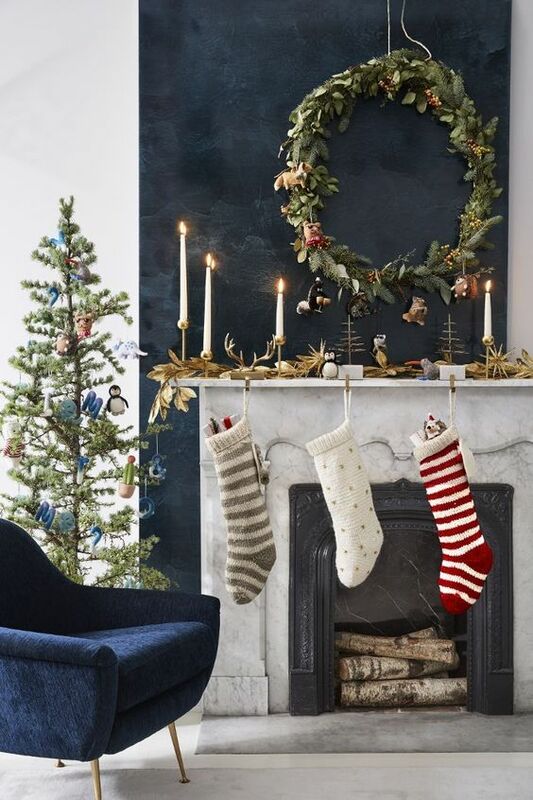 We believe you must have got ample of inspiration from our list of Christmas décor trends of 2019. All these ideas are fresh out of the box, so pin them first before they get viral. So what are you waiting for? Grab some of these inspiration and start decorating your home before your neighbors do! 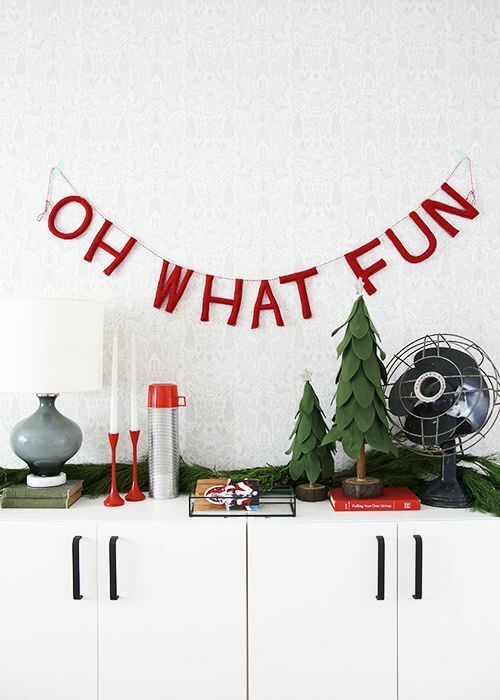 Nevertheless, you’ll never go wrong with these trendy Christmas decorations that we carefully picked for you. Also, enjoy the adventure as you decorate. That’s when you will truly feel the Christmas! Until then, merry Christmas.